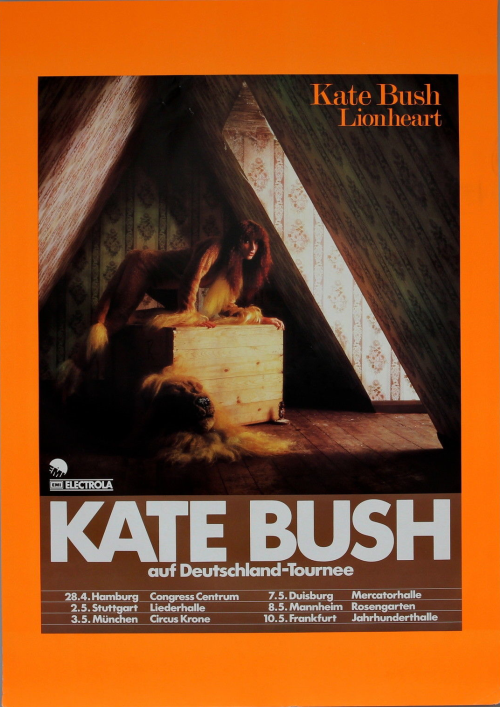 The Tour of Life, also known as the Lionheart Tour or even the Kate Bush Tour, was Kate Bush's first, and until recently only, series of live concerts. The name, 'Tour of Life', was not coined until after its completion, with all promotional material referring to it simply as the Kate Bush Tour. Consisting of 24 performances from Bush's first two studio albums The Kick Inside and Lionheart, it was acclaimed for its incorporation of mime, magic, and readings during costume changes. The simple staging also involved rear-screen projection and the accompaniment of two male dancers. The tour was a critical and commercial success, with most dates selling out and additional shows being added due to high demand. 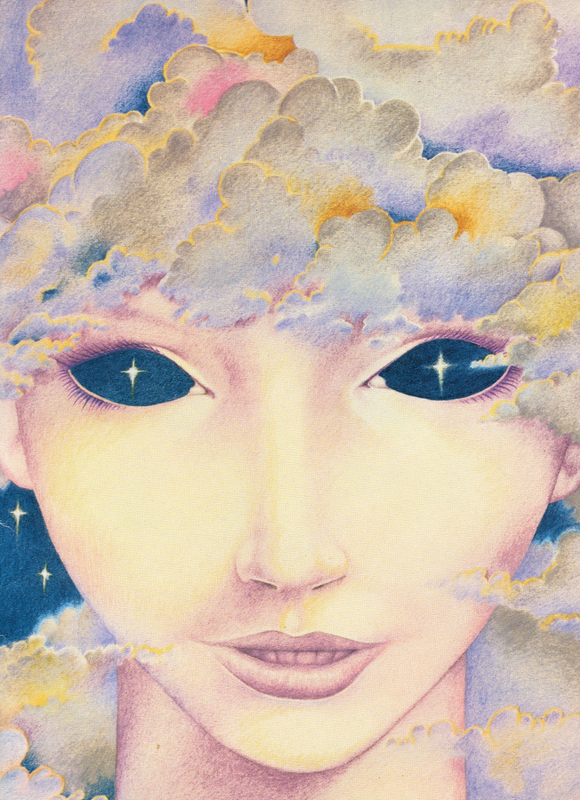 Members of the Kate Bush Club were provided with a guaranteed ticket. The tour was to become not only a concert, but also incorporating dance, poetry, mime, burlesque, magic and theatre. The dance element was co-ordinated by Bush in conjunction with Anthony Van Laast – who later choreographed the Mamma Mia! movie and several West End smashes – and two young dancers, Stewart Avon Arnold and Gary Hurst. They held morning rehearsals for the tour at The Place in Euston, after which Bush spent afternoons in Greenwich drilling her band. Off stage, she was calling the shots on everything from the set design to the programme art. The band playing with Kate Bush on stage consisted of Preston Heyman (drums), Paddy Bush (mandolin. various strange instruments and vocal harmonies), Del Palmer (bass), Brian Bath (electric guitar, acoustic mandolin and vocal harmonies), Kevin McAlea (piano, keyboards, saxophone, 12 string guitar), Ben Barson (synthesizer and acoustic guitar), Al Murphy (electric guitar and whistles) and backing vocalists Liz Pearson and Glenys Groves. The tour started on April 2 with a tragedy. The highly experienced lighting director Bill Duffield fell through an open panel high on the lighting gallery. He would die of his injuries a week later. Despite this, the tour still went on. A fundraising benefit concert was added to the schedule, taking place on 12 May 1979 to raise money for Bill's family and featured Peter Gabriel and Steve Harley, for whom Duffield had also worked. On 24, 26, 28 and 29 April, In the Warm Room, Kite, Oh England My Lionheart, and Wuthering Heights were dropped from the set because Kate was suffering from a throat infection. The 12 May concert had a very different setlist because this was a benefit performance 'In Aid Of Bill Duffield', featuring guest stars Steve Harley and Peter Gabriel. 'Fullhouse' was not performed on 13 and 14 May. As the tour rolled out around the UK the reviews were euphoric: Melody Maker called the Birmingham show "the most magnificent spectacle ever encountered in the world of rock. (...) I hadn't expected to be impressed by her as a singer, both she and the band were nothing short of immaculate". According to Sounds, the show was "so finely realised that it's beyond criticism". Two official recordings were released from the tour, both recorded at the Hammersmith Odeon in London: first, the On Stage EP was released in September, and some time thereafter a 60 minute video 'Live at the Hammersmith Odeon', featuring 12 songs from the set followed. There are also numerous so-called 'Bootleg' recordings made available from various sources - although most of them are audience recordings of dubious quality. Graeme Thomson, Kate Bush's only tour: pop concert or disappearing act? The Guardian, 13 May 2010. Retrieved 28 September 2014.